Holman engaged ActiveCanvas to design a comprehensive identity package including a new logo, business cards, notecards, stationary and envelope labels. 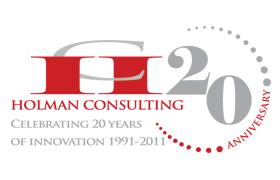 While celebrating 20 years in business, Holman incorporated a custom designed anniversary logo used in advertising and on the website for the duration of the anniversary year. 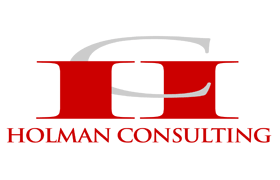 Other work we’ve done for Holman Consulting, Inc.